The email links to this page. Harry Potter ebook model a success? Pottermore‘s experiment of bypassing the distributors seems to a be a success. Is this a peek into the future, where successful authors (or their publishers) will bypass platform owners (Amazon, Apple, and others) and directly offer e-versions of their top sellers to customers? Despite the wide availability of pirated copies, the ebook versions of the books have been widely successful. During an interview with Radio Litopia’s “The Naked Book” Wednesday afternoon, Redmayne said Pottermore sold more than $1.5 million worth of Harry Potter books in the store’s first three days online. via Pottermore Sells $1.5 Million Worth of Harry Potter E-Books in 3 Days – John Paczkowski – Media – AllThingsD. What is to be seen is if JK Rowling will follow a similar strategy for the sales of her new novel. Though ebook prices have been announced, it is still not clear if the publisher of this book will bypass the Amazon, Google and Apple platforms. A Kindle version is currently available for pre-purchase, but eventually, this link might forward buyers to the publisher’s website. via THE CASUAL VACANCY – Little, Brown Book Group. Harry Potter eBooks augur changes in digital publishing strategies? This move comes on the heels of JK Rowling‘s announcement her website that she is working on a new novel, targeted at adults. Fire Sale of Refurbished Kindle Fire? Amazon is selling refurbished Kindle Fires for $139 today. 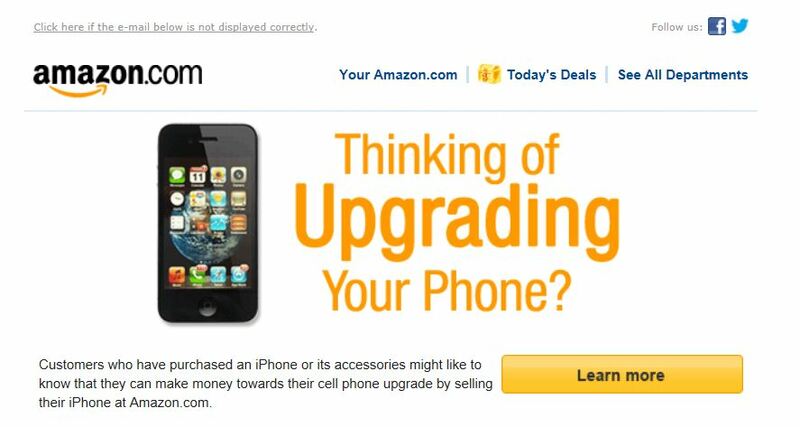 Though that is $60 off the full price of a Fire and $30 off the regular price for a refurbished one, expect Amazon to make considerable profits over the lifetime of each new customer its gains from this sale. This also ties in with the rumors of an upcoming upgrade to the Kindle line in general and the Kindle Fire in particular. 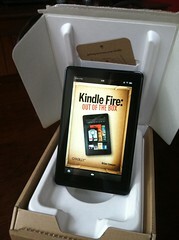 via Kindle Fire – Full Color 7″ Multi-Touch Display with Wi-Fi – More than a Tablet. A feature by feature comparison with iTunes and Amazon Music offers insight into the two critical value drivers behind Google Music – deep integration with Google+ (thus leveraging the social aspects of music consumption) and an almost unlimited capacity to transfer existing music libraries (thus reducing lock-in costs and encouraging users of other platforms to shift). Read more at Official Google Blog: Google Music is open for business. Amazon’s subsidiary, A9.com has launched a new augmented reality iPhone app called Flow. The app uses visual image recognition and barcodes to detect any product the phone is pointed towards. It then overlays the image of the product with content from Amazon, which includes reviews, ratings, specs, pricing and immediate purchasing options. 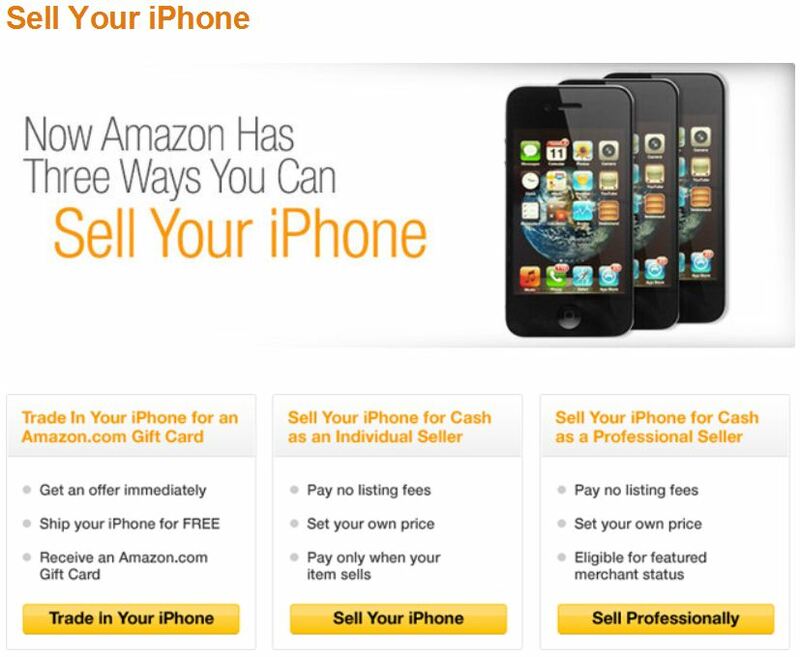 This will make price comparisons easier and faster, thereby helping to increase Amazon’s sales. Users point to an item and Flow overlays pricing, availability, reviews, media content and other information directly over the item in view. With Flow, customers can identify books, DVDs, CDs, video games, or millions of packaged household items like a box of cereal. Items can be recognized by pointing the iPhone toward the front cover or packaging, or by the UPC barcodes. Read more at Flow Powered by Amazon App, Now Available for the iPhone and here.